To party, or not to party? Why an office Christmas party IS worth it. Unless an office Christmas party is planned well by someone who knows what they’re doing then it can be a little dull and predictable – with the most exciting thing being the revealing photo-copying incident that’ll give the office plenty to gossip about for the next year! But these negative views are short-sighted, so before you tuck your company credit card away here are the pros to the office Christmas Party – and why, in business terms, it’s not a frivolous activity devoid of return on investment (ROI). Firstly it’s good for morale – workers need something to look forward to at the end of the year. And in business terms morale means a harder working workforce. According to Christmas Connections most offices see a 31% in efficiency when workers have a higher morale – which could help justify the financial outlay, don’t you think? What better way to round off the year than to organise a company Christmas event, celebrating the year and all the successes that you’ve seen. Secondly it’s motivational – Keele University recently undertook research on the motivational value of events for businesses. Sam Booth leads the University’s events department and told Chiumento “It’s the one time of year that you get the chance to truly reward employees for their input and engage them with business objectives for the year ahead… No matter how big or small your Christmas budget, businesses should not underestimate the long-term value of engaging with employees by getting into the festive spirit.” And thirdly, it encourages team-bonding – which pays dividends when the pressure is on. According to Bpp Media employees that have developed the type of relationships, based on personal interactions that Christmas office parties encourage, are much more likely to work better as a team when needed. … employees tend to share workloads, when pressurised situations call for it, and tackle testing tasks as a team, rather than a collective of individuals. This could explain why firms are willing to splash out on Christmas Office Parties, despite penny-pinching budgets. Research by Eventbrite found that firms spend approximately £1bn on parties in the UK, which is an average £42.48 per employee. As companies try to keep wage demands under control to ensure global competitiveness, showing staff you appreciate and care about them should not be an afterthought – it should be a necessity! Most companies now have climate surveys and the CEO and management team are measured on this as much as they are on profits. You have been warned! So leave Scrooge in the cloakroom and let us help you put the joy back into Christmas! After all we know what we’re doing. We’re experts in the perfect Christmas party venue and party – we won’t stick you in a room with bad music, soggy sarnies, and cheap lager to get you through. We’ll entertain you and your guests. Properly. 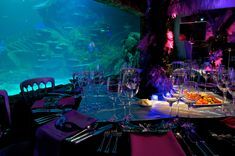 And the great thing about hosting a fantastic office Christmas party experience at a unique London Christmas party venue like Madame Tussauds. SEA LIFE London Aquarium or the London Dungeons is the cost really is not as big as you think it would be. Our all-inclusive packages start from £109 per person and promise to deliver a fun filled experience that will be well remembered by your employees for the right reasons! 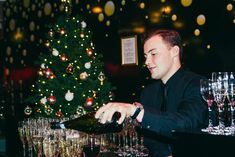 And if you’re a small office or a group of friends looking for a Christmas party venue, why not check out Merlin Events London shared Christmas Parties across a variety of locations? Prices won’t leave you gasping for breath either with Shared Christmas Parties starting at £90 per person. So are you going to give your employees something to look forward to this year? Come on, be brave, face the music, choose the date, pick your Christmas party venue and get your tinsel out!